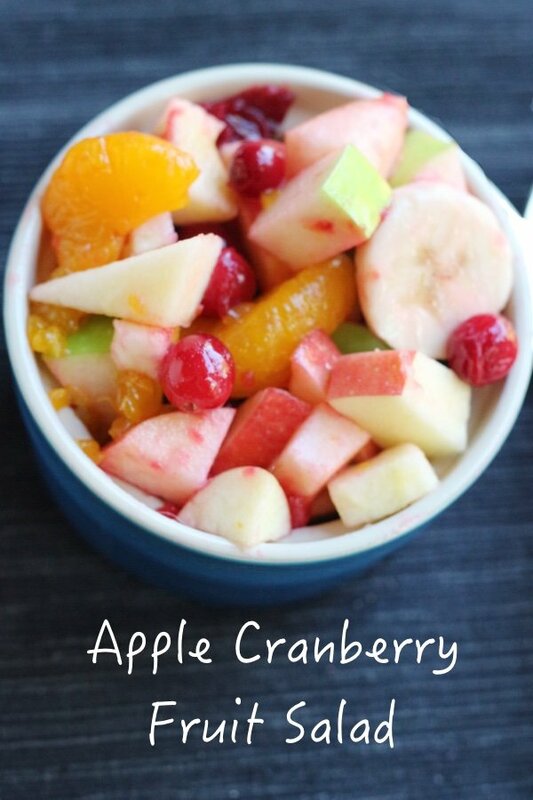 As we move toward Turkey Day, it is time to start thinking of what you are going to make and you need apple cranberry fruit salad. I LOVE apples in salad because they provide a crunch and sweetness that can’t be beat – check out my broccoli apple salad recipe if you want more inspiration. That salad went viral on Pinterest for a while and I was so proud! Fresh cranberries are now in stores in the produce section. 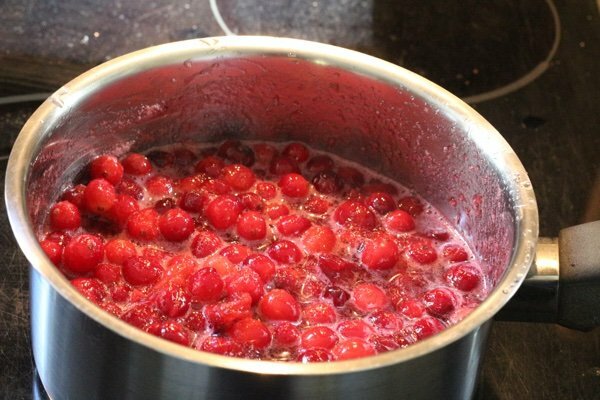 I always get excited when I see them – and I always make my own easy cranberry sauce on Thanksgiving. This salad is couple of different things. First, it is festive! Look at how cute those cranberries are. It is also versatile. 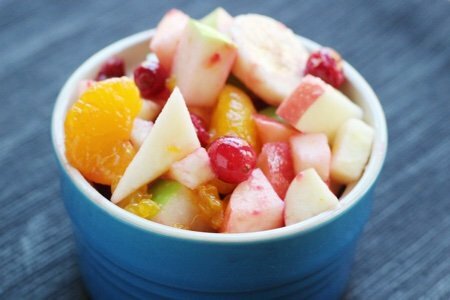 I would serve it anytime – as a dessert – as an appetizer – it is fruit and so much of the holiday food is so heavy that many are excited to see a lighter dish. If you don’t have two cutting boards, do get one if you chop a lot of garlic and onions. I have found that those flavors stick to the board and can flavor my fruit in a way that is not ideal. 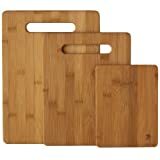 At the bottom of the post, I have included some bamboo cutting boards that I really like. The only cooking here involves the cranberries which you must boil with some sugar (or they are far too tart). You don’t use the sugar syrup in the salad so it is still very light. Cook them until they POP and not a second longer so they still retain their round shape. Add mini-marshmallows if you want to make this more of a dessert or walnuts to make it more hearty. This is a great anti-dote to all the butter that shows up for the holidays. I received all of my magazines and it seemed like every single recipe included a stick of butter. How do you serve cranberries this time of year? Please share. In a small saucepan heat water and sugar over medium high until dissolved. Add cranberries and bring to a simmer. Cook until you hear a few pops and remove immediately from heat. 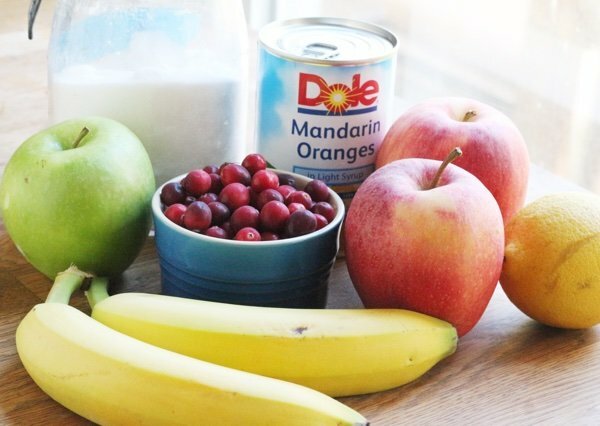 While cranberries are cooking, mix apples, mandarins, and bananas in a large bowl and squeeze some lemon juice over them to prevent them from turning brown. After the cranberries are done, let them sit for five minutes and then drain them. Toss the cranberries with the other fruit and add optional walnuts and/or mini-marshmallows. Enjoy now or refrigerate in a tightly sealed container for up to 2 days. This would be an ideal side dish for those post-Thanksgiving turkey sandwiches. Thanks! I like cranberries any way: jelled, juice, fresh, and as a liquor. The liquor recipe is 1 cup vodka, 1 cup sugar, 1 cup fresh ground cranberries - rinsed and picked over - (you can double or triple this recipe, just keep the amounts equal) in glass jar with plastic lid.I have used a sun glass tea jar over the years. You can add 1 teaspoon orange or lemon peel if you want. Steep for 3 WEEKS, strain solids out, steep for 2 more WEEKS. You should stir once a week, but I always forget. Talk about mellow out, this will do it!